Thoughts of a Young(ish) Car Guy - Brett Morgan: Honda of Ocala Utilizes Facebook for Honda Civic Car Giveaway! 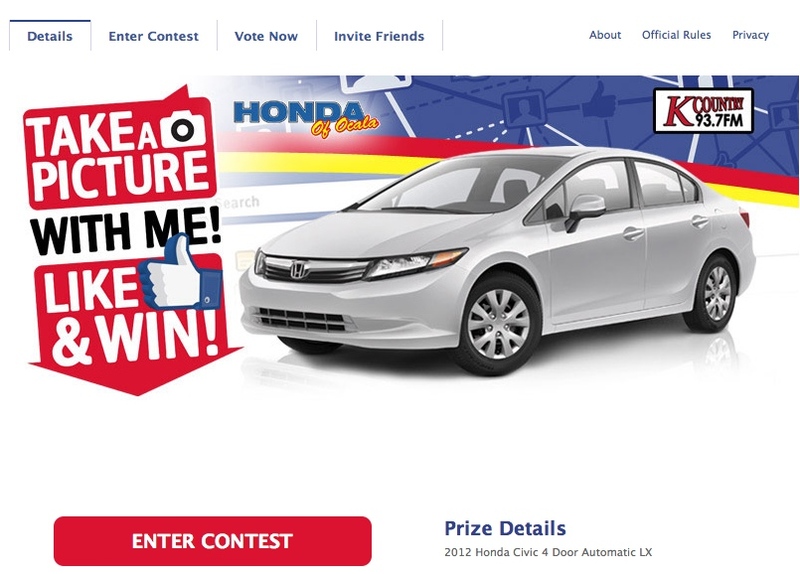 Honda of Ocala Utilizes Facebook for Honda Civic Car Giveaway! 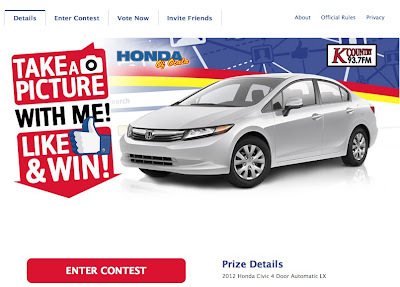 Honda of Ocala has launched a new 2012 Honda Civic Giveaway on their Facebook page at http://www.facebook.com/HondaofOcala. The contest is easy to enter for those who live near Honda of Ocala in Ocala, FL. You simply have to take a picture in the showroom at Honda of Ocala and post it on their Facebook page through the contest application.